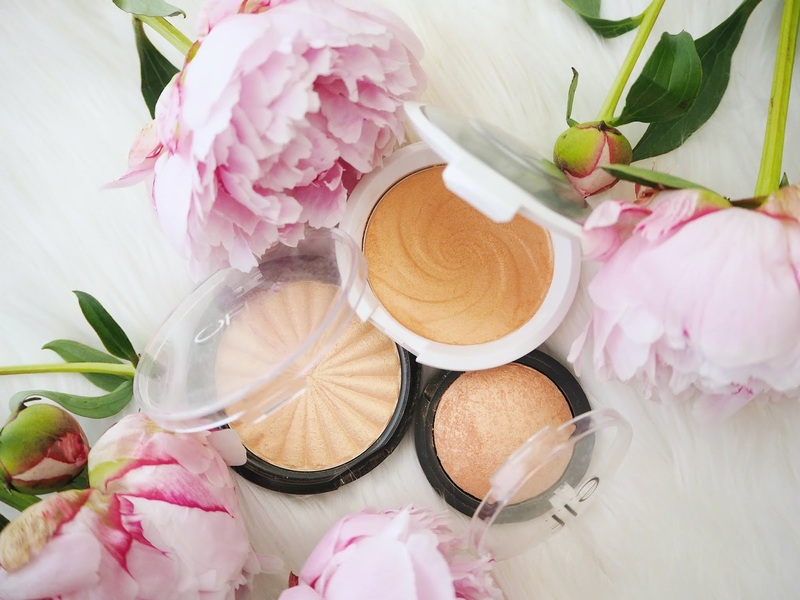 Today I just have a quick little post with three gorgeous, summery peach-toned highlighters for three different budgets. 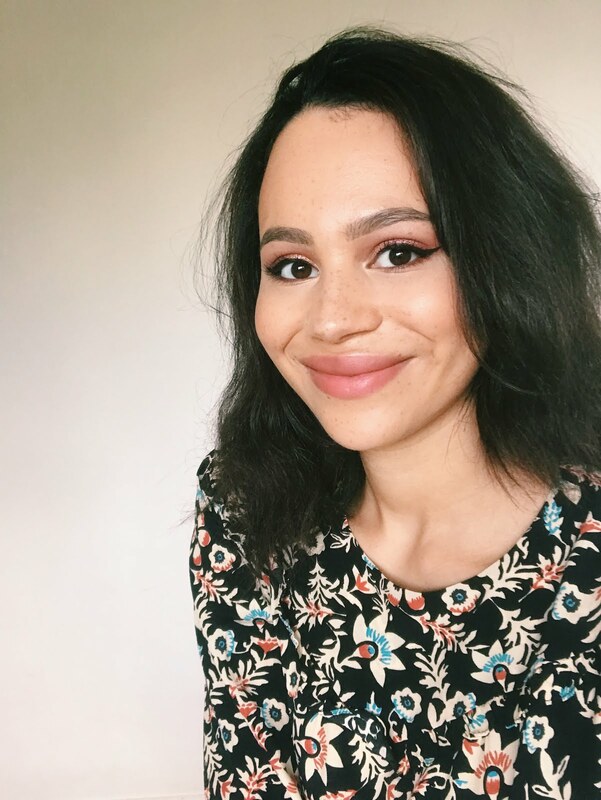 Whilst the formulas differ (which we'll get into), you can achieve a very similar look with these products, so hopefully this post will help you choose which to pick up! Save: Elf Baked Highlighter in Apricot Glow | £5 | This is definitely the most natural-looking product of the three I have here. The thing to note with these baked highlighters from Elf is that they have this sort of glittery film on the surface. If you pick this up I recommend running your finger over the entire surface of the highlighter a couple of times to remove this and reveal the fantastic product underneath. As this is a baked product, it has that soft-focus look on the skin and the warm apricot colour is gorgeous. It's impossible to go overboard when applying it and whilst it won't be 'blinding' enough for some, it's great for an everyday look or for people who don't wear a lot of highlighter and just want to add some warm glow. It applies evenly and never looks stripy or anything like that. Yes, the packaging is cheap and the highlighter itself is quite small (it contains 5g of product vs 10g for the Ofra or 7.9g for the Becca), but how often do you really pan a highlighter? The packaging is functional and sturdy enough so it really doesn't bother me! 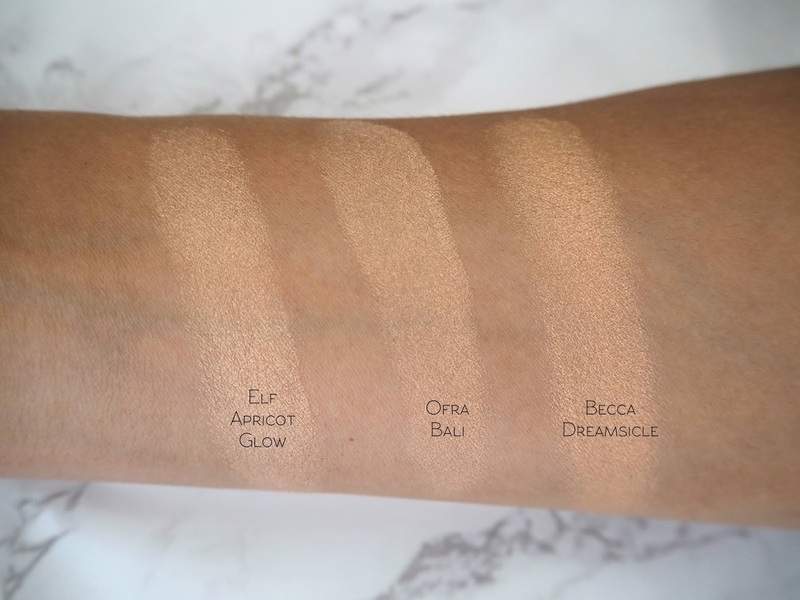 Spend: Ofra Highlighter in Bali | £25 | This is my mid-range option from the indie brand Ofra. One of my big complaints about this product is that the packaging - though, it's also functional and doesn't feel flimsy - it just doesn't feel like a £25 product. Luckily Ofra have cottoned onto this and have rebranded entirely (check out their made over packaging here) so hopefully their new look will be available in the UK soon. Onto the product itself; the formula is BLINDING! As in; I dip my fan brush a tiny bit into the product, tap off the excess and I'm still glowing to the gods after one swipe... I appreciate this look won't be for everyone (particularly if you have a lot of texture on your skin) but I personally love it and it's amazing how beautifully this creamy formula is - it just glides on. It doesn't contain any glitter and has a little more gold in it than the Elf version. This could be a great option if you usually go for warm golds in your highlight and want a slightly different tone without going full-on colourful. It gives such a gorgeous summery look! Splash Out: Becca Shimmering Skin Perfector Pressed in Dreamsicle | £32 | I'm not actually sure if this will be launching in the UK as it's such a summery product and still hasn't been announced when we're in mid-July...however my mum ordered this for me off the Sephora website. 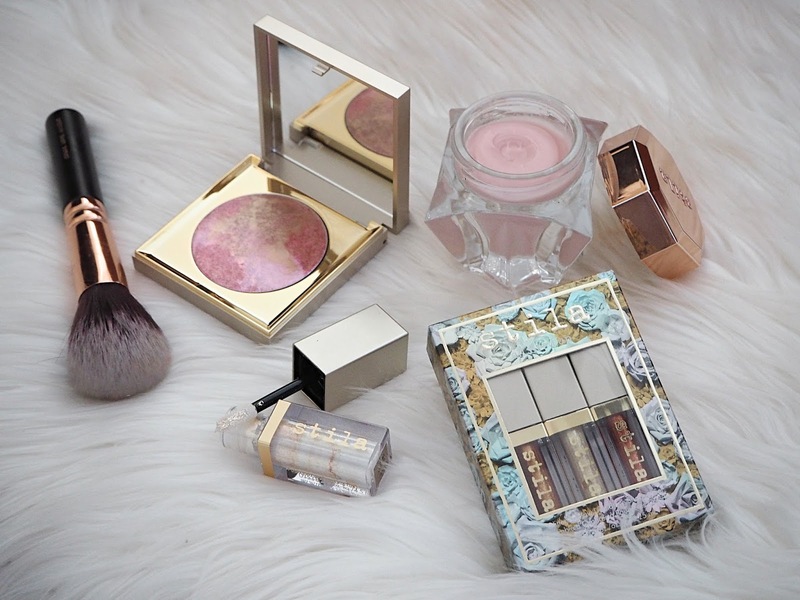 It comes in the usual weighty Becca packaging but has a white finish instead, which is great for me when I'm grabbing products in a rush, because I'm the owner of a fair few Becca highlighters. This has that same sort of dewy-look, super-smooth texture I've come to expect from Becca, though the slightly deeper tone means it isn't as blinding on me as something like Champagne Pop. This has a slightly different tone to the Ofra; there isn't really a strong gold shift to this, instead it's more orange toned (the Elf sort of sits between the two) however I don't think it looks dramatically different colour-wise once applied. Have you tried a peachy-coloured highlighter this summer?